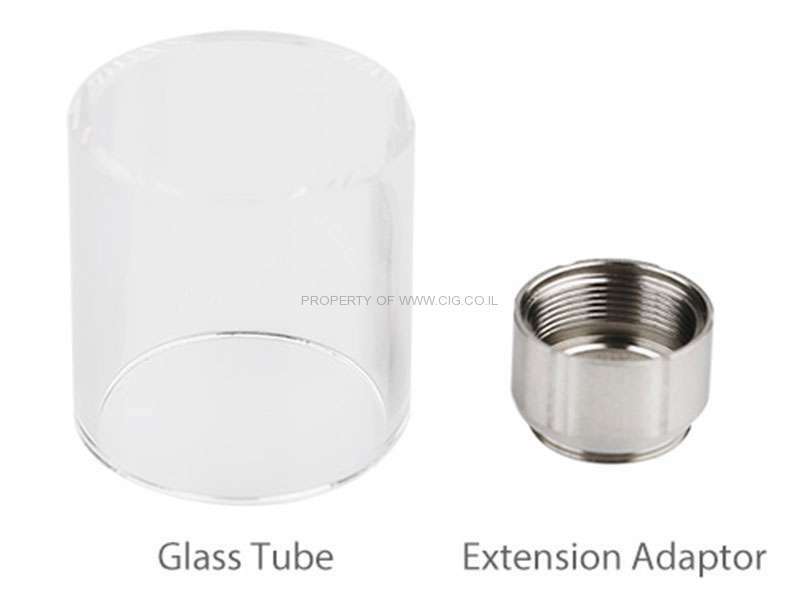 SMOK TFV8 Baby Tank Extension Pack consists of a glass tube and an extension adapter. This pack would be useful if you fancied extending the TFV8 Baby Beast Tank from 2ml to 3.5ml. You can also change your 2ml TFV8 Baby to a RBA tank with this pack. Please note that this pack only works with the 2ml EU Edition, not with the 3ml Standard Edition but by all means have a try or get it as a spare part! It is compatible with SMOK TFV8 BABY Beast Tank(2ml)/SMOK Alien Kit(EU Edition)/SMOK OSUB Kit(EU Edition)/SMOK Stick V8 Baby Kit(EU Edition)/SMOK G150 Kit(EU Edition).